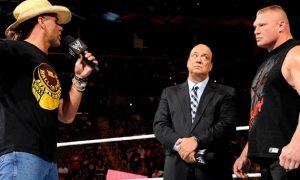 Paul Heyman made his long-awaited return to WWE television this past week after signing a new deal with the company. A new report speculates on possible delays in getting the deal and a role reversal for the advocate and his client. Paul Heyman’s name was absent just a few weeks ago during the 2016 WWE Draft. While other managers were mentioned prominently during the broadcast, Heyman’s name was conspicuously absent which brought to light his status with the company along with plenty of rumors. Those rumors were squashed after a new deal was reached and Heyman returned to television to start promoting SummerSlam. 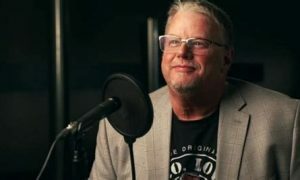 A new story from Wrestlezone.com has new details about the contract negotiations and what prevented a gap in Heyman’s status with the company. The story indicates that while many thought Heyman would be back, the story also cites another report on PWInsider.com indicated that there were some that felt Heyman’s exit from World Wrestling Entertainment would be permanent. You probably didn’t need a report from Wrestle Zone to figure out that money was the difference in keeping both sides from reaching an agreement. According to the report, Heyman wanted a raise in salary that the company was unwilling to meet. The company played hardball and allowed the deal to expire, yet the two sides continued negotiating in hopes of renewing Heyman’s deal. While the story doesn’t explicitly say so, I would guess safely that Heyman wound up getting close to the salary he was asking for. What is new to the story is that Wrestle Zone reports that Heyman’s outside projects (his advertising agency, website, etc.) was also part of the impasse. According to the story, the company was unhappy with some of Heyman’s projects. Heyman does do a lot of work with bikini models, but nothing I could personally see the company having a problem with. Quite frankly, it really doesn’t make a whole lot of sense as Heyman had his projects before returning to the company a few years ago. I am only citing the report, but I can’t honestly see the company refusing to bring him back because of work he was doing when he originally returned to the company. Finally, the report also indicates that Brock Lesnar went to bat for Heyman. 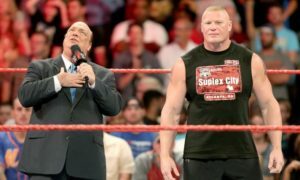 There aren’t a whole lot of details in the story, but “Lesnar reportedly “went to bat” for Heyman and told WWE officials he wanted Heyman with him on TV and to make the deal happen.” Dave Meltzer regularly reports that it is a top priority in the company to keep Brock happy so the WWE expediting a new deal after Brock spoke up for Heyman is likely. Heyman has set himself up well outside of wrestling. He just returned from a speaking tour in the United Kingdom which I would presume he did quite well. I think that at the end of the day the company needs him more than he needs them and the fact he was willing to walk away supports that. 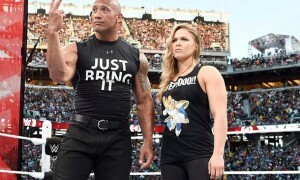 That said I do think Brock has been a very strong promo in UFC without Heyman, but together they remain one of the best acts in pro wrestling and the WWE’s top drawing card.